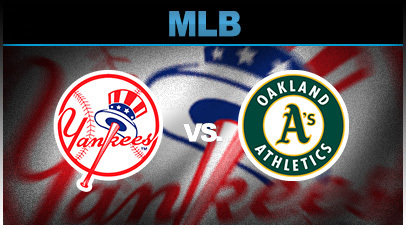 It’ll be a three-game series in the Bronx this weekend, as the Yankees welcome the Oakland Athletics to town. Despite some recent bumps in the road, including going just 6-7 in their last 13 games, the Yankees have actually built on their AL East lead, as it is now up to 2.5 games. Oakland comes in with a 21-25 record, sitting in fourth place in the AL West and 9.5 games behind the 31-16 Houston Astros, who currently own the best record in baseball. 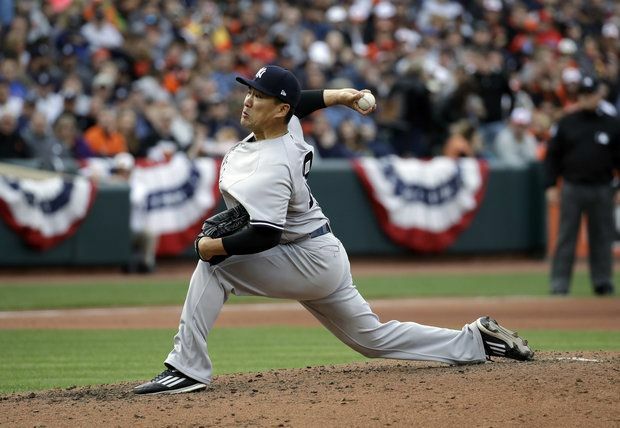 Just when fans thought it couldn’t get any worse, Tanaka has pitched back-to-back atrocities. Coming against the Astros on Derek Jeter night and the Rays, he’s combined for just 4.2 innings in the past two starts to go along with 16 hits given up and 14 runs. His two starts before that were also below-average, giving up 18 hits and eight runs (seven earned) across 13.1 innings. If you combine these four starts, he’s lasted 18 innings and pitched a 10.50 ERA with 34 hits allowed. This was coming off a complete-game shutout at Fenway Park, which had Yankee fans thinking he was turning around his early-season struggles. Tanaka is towards the bottom of the league in just about every category, including his sky-high 1.60 WHIP, which sits at ninth highest in the majors. Currently, among qualified major league pitchers, Tanaka has the fourth-worst ERA at 6.56 and is just one of six pitchers with a negative WAR, at -0.2. His 13 home runs allowed is tied for third-worst in the league with Detroit’s Jordan Zimmerman. Any way you cut it, Tanaka has been putrid and has surely been one of, if not the, worst pitcher in baseball. If he doesn’t turn it around, look for Tanaka to potentially, and hopefully be placed on the DL. This could also be his last season in pinstripes, as guys like Chance Adams, Dietrich Enns, and Chad Green are patiently waiting for their chance in the rotation. Kendall Graveman has been an average, serviceable pitcher throughout his major league career, now in his third season with the Athletics. He’s been quite good this season, as he’s allowed two or less runs in all but two of his starts. Not known for his strikeout stuff by any means, having only 32 Ks in 47 innings, his 6.13 K/9 is the lowest on either of these teams, including C.C. Sabathia. Graveman though has proved to be successful without it and has been a good third pitcher for Oakland. As Graveman is earning just $507,500 this season, his counterpart Tanaka is reeling in $22 million. The $21.5 million differential would lead you to think Tanaka should be the better pitcher, but Graveman is finding his groove and has been far better than the Yankees supposed-to-be ace. Sabathia’s title as the Yankees worst pitcher has been removed, thanks to Masahiro Tanaka. The highest-paid pitcher in MLB history at the time of his 2009 signing, Sabathia is earning $25 million in the decline of his career. So the two worst pitchers of the Yankees rotation are earning a combined $47 million this season. Sabathia has been up-and-down in the 2017 season, coming off back-to-back gems against the Rays and Royals. This will be his first start at home since May 3rd against Toronto, as he’s been on the road for three consecutive starts. His past two gems have combined for just 11.2 innings and two runs allowed, just one of which was earned (0.77 ERA). Each start resulted in a Yankees win, as they’ve been crucial during the recent slump of the Yanks. Sabathia, like Tanaka, needs to step up this weekend in order to get the Yankees playing like they did to start the season. If he does, watch out to the rest of the teams in baseball. Sean Manaea has certainly had glimpses of being a decent pitcher, but he’s yet to put it all together. It’s hard to figure out what kind of pitcher he is, as he really hasn’t allowed all too many hits this season. 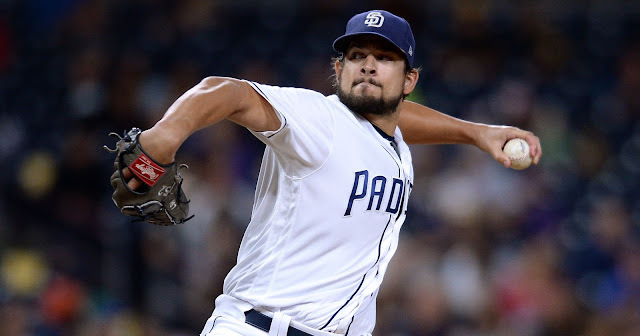 He missed about a month of action due to shoulder tightness and has been average in his two starts since returning, allowing six runs in 10 innings. In 34.1 innings, Manaea has allowed just 24 hits. He’s had a few starts, three in fact, where he has allowed more runs than hits. He had a start on April 15th in which he no-hit the Astros in five innings, while also allowing two runs (one earned) and five walks. He’s been inconsistent in the amount of walks he’s allowed, having multiple starts allowing five walks, but also a few where he hasn’t walked any. If he can figure things out and keep the walks down, Manaea could become another solid pitcher in Oakland’s rotation. Pineda has continued his very good start to the season, providing the case of being the Yankees best pitcher. His past few seasons have been weird in the fact that he’s had very high strikeout numbers and low walk numbers, two keys that would point to a successful pitcher, but his ERA has been way too high. After a 2011 rookie year in which he made it to the All Star game with the Mariners and a 2014 where he dominated to a 1.89 ERA in 76.1 innings for the Yanks, he had consecutive seasons with an ERA in the high-4.00s. He has continued the two aforementioned parts to his game this season though, while now allowing far fewer runs. His stuff has been dominant, as his 28.1 K% ranks ninth in baseball. He has 61 Ks for the Yanks so far, tied-for-ninth in the AL with teammate Luis Severino. Pineda has recorded at least five strikeouts in every start this season. His biggest weakness, consistency, has now turned into a strength. Since his Opening Day disappointment, he’s yet to have a start where he’s allowed more than three runs or more than two walks. Pineda has recorded at least six innings of work in all but one start, which was April 29th against Baltimore, where he went 5.1 innings and didn’t give up a run. Pineda’s turnaround has been the key to the Yankees early season contention. This is actually a very good pitching matchup, as we have two of the top 20 pitchers in the AL so far this season. Andrew Triggs has continued his amazing success story, as he’s been the Athletics best pitcher so far even over well-known Sonny Gray. Triggs currently sits at ninth in the AL and 14th in baseball in ERA at 2.77, ahead of guys like Yu Darvish, Chris Archer, Zack Greinke, Max Scherzer, Jon Lester, Kyle Hendricks, Jacob deGrom, Stephen Strasburg, and Gerrit Cole. The Athletics “Moneyball” theory is once again in play, as Triggs earns just $507,000 this season while pitching better than those big name veterans, including Greinke and Scherzer’s astronomical salaries. Triggs success story probably will not continue to go as well as it has so far, as he has had four starts with no runs allowed this season and two starts with just one run. This will be a good way to end the series, as one of the more underrated pitchers in baseball will face off against the bounceback season of Pineda. 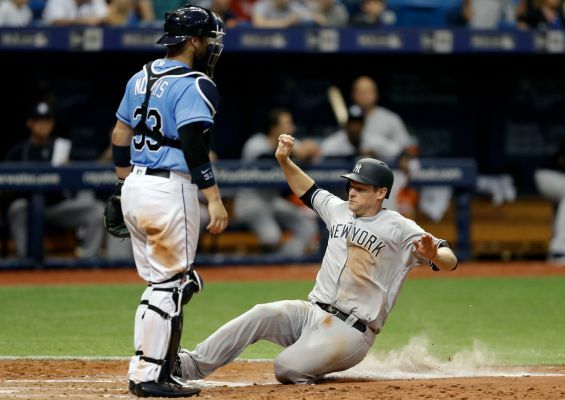 Jacoby Ellsbury was placed on the seven-day DL for a concussion suffered in Wednesday’s loss on the opening play of the game in which he made a spectacular catch before running into the wall. Ellsbury will always be known as being vastly overpriced a few offseasons ago and rightfully so, but he’s been a key contributor this season batting in the .280s for much of the season, along with a current nine-game hitting streak. The corresponding move was made shortly after the game, as Rob Refsnyder was called up over the likes of Dustin Fowler and Clint Frazier. Refsnyder has been hot for Triple-A affiliate Scranton-Wilkes Barre, with a slash line of .303/.391/.454 through 33 games including 11 doubles. Refsnyder is just 51-for-198 (.258) in his short Yankees career, but will look to make his presence felt this time around. Potentially on his last chance in the majors with the Yankees, Rob needs to take advantage of his chance, as it’s now-or-never. The Yankees don’t seem to have a spot for him now or in the future, especially with the emergence of Ronald Torreyes, so if he doesn’t do much with this chance he could be gone soon. Remember how hot Chase Headley was to start the season, standing in the top five in batting average in the high-.300s? Yeah those days are gone and Headley’s average has plummeted to .232. Since a four game hitting streak to start May, Headley’s 0-for-7 game in the May 7th, 18-inning game against the Cubs started his struggles. He’s six-for-54 since those first four games of May, accumulating to a .111 average. When he has hit it, they’ve at least counted for something, as three of those six hits were for extra-bases, two of them being doubles and one being a triple, and he’s racked up 9 RBIs in that span. He was hitting .362 in late April and still a very good .297 before that extra inning game, but since then his numbers have significantly dropped. Since that game, his average dropped from .297 to .232, his OBP from .388 to a below-average .304, and his slugging percentage from .475 to .374. Headley had six multi-hit games in his first 12, but has since had just one, May 2nd against the Blue Jays. Chase has also once again struggled on the defensive side of things, already committing nine errors from third base. We are back to the old Chase Headley and look for him to hopefully not be around for long if things get even uglier. After a putrid start to the season that had many Yankee fans calling for his starting outfield spot to be taken, Gardner has went on one of his typical, scorching hot streaks. His average was down in the mid .100s, but has built it up to .280. After seasons in which he hit 16 and 17 homers, which included an All Star Game appearance, Gardner returned to his normal self in 2016, hitting just seven homers. He has already surpassed that total through 150 ABs, as he’s on pace to break his career-high of 17 and eclipse 25 homers. Currently sitting at nine homers, Gardner is unlikely to keep up this sort of pace, as evidenced by his past seasons. With a week still left in the month of May, Gardy has hit seven homers already this month, raising his slugging percentage from .329 to .520. In the 18 games he’s started this month, he’s had a hit in all but two of the games. Dating back to last month, he’s reached base in 25 of his last 26 games, raising his OBP to .370. He’s been a key cog of the best offensive outfield in baseball, which has combined for 36 homers between Gardner, Judge, Ellsbury, and the resurgent Aaron Hicks. Oakland has had plenty of overachievers on offense this season and Alonso is one of them. 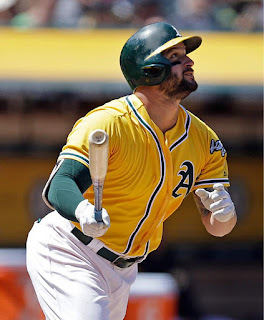 On an offense that lacks a standout or star, something they’ve missed since trading away Yoenis Cespedes, Addison Russell, and Josh Donaldson, Yonder Alonso has been very big in keeping this team around the .500 mark. Three of the top five home run hitters in the AL will be presented in this series and Alonso is amongst them, ranking fifth with 13 long balls. He actually leads the league in AB per HR, with just 9.2, above probable AL All Star outfielders Aaron Judge and Mike Trout. His 30 RBIs that lead the team is also ranked ninth in the AL, to go along with being fourth in slugging percentage at .642. The former Red Sox middle infielder has enjoyed a career-best 2017 season so far. His .300 average has surprised many and has been a driving force of the Athletics offense. If it weren’t for Yankee Starlin Castro, Lowrie may be having the case as the best second baseman in the AL along with the likes of Robinson Cano and Jose Altuve. He has also enjoyed a little bit of a power surge, having hit six homers in 170 ABs, after coming off a 2016 season in which he just two all season in twice as many ABs. He comes into this three-game set really hitting, as in six games in the past two series, Lowrie is 13-for-25 (.520 average). He had a hit in all six of those games to go along with two homers, seven runs scored, four doubles, and six RBIs. 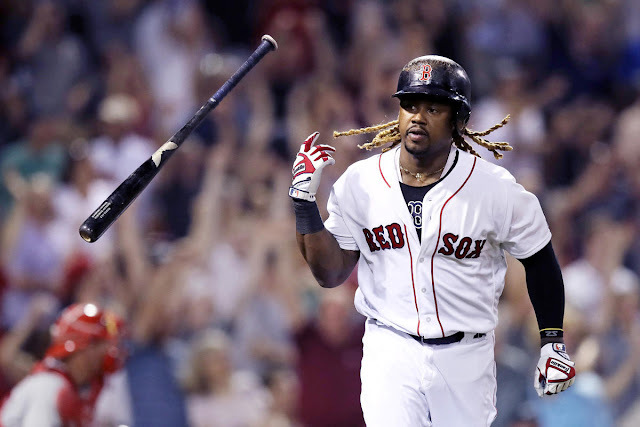 The six-game hitting streak, coming against his former team Boston and the Marlins, have raised his average from .262 to .300 and his slugging percentage has increased by .074 in that time span. Lowrie, now in his second stint with the Athletics, could be a problem for the Yankees pitching staff in this series. Now in his second season with the team, Davis has continued to make the case as one of the better power hitters in baseball. After coming off of 22 and 27 home run seasons for the Brewers, Davis continued his improvements in 2016 by hitting 42 home runs, which was tied for third in baseball. So far in 2017, he has 14 home runs, which is once again tied for third. While being even more home run-or-miss this season, he’s got just five doubles to his name and is sixth in the AL in strikeouts with 55. Despite these and the fact that his average continues to dip, Davis already has 20 walks, on pace to shatter his current career-high of 44. Davis’ power in Yankee Stadium will certainly be troublesome in this three-game series. The Athletics have certainly been better than expected so far, with many pitchers and hitters overachieving to this point. 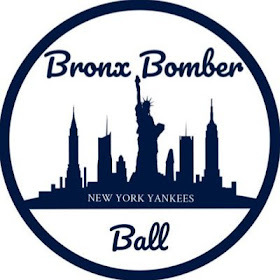 They are still a few games below .500 though and don’t expect them to improve upon their record, as the Yankees will take at least two of the three in the Bronx, if not sweep the Athletics.